Home / Projects / Turning the Johnson Service Group Logo into Wall Art! 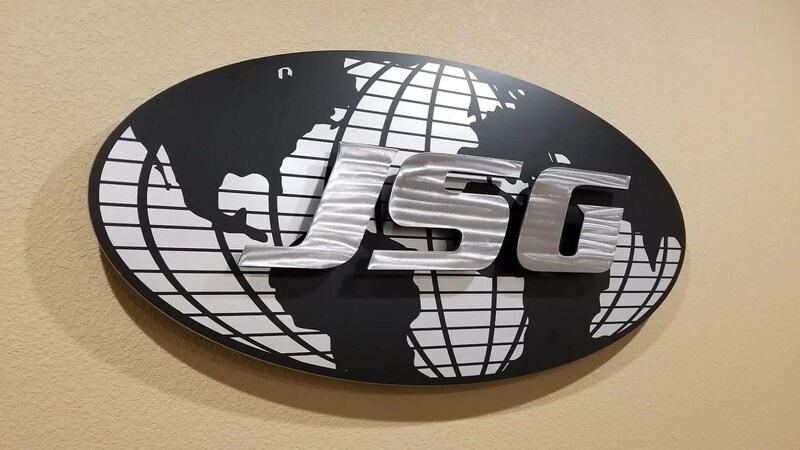 We recently had the opportunity to create a beautiful piece of wall art from the Johnson Service Group logo for a new office location in Texas. The concept was to recreate their corporate logo as a 3D sign to hang in the reception area. 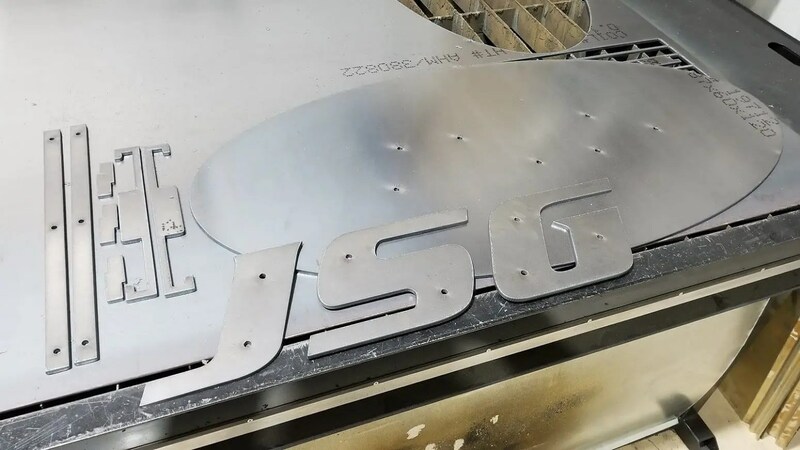 This meant the logo first had to be re-created in a digital format, and broken down to basic components to be converted into cut-paths for machining. 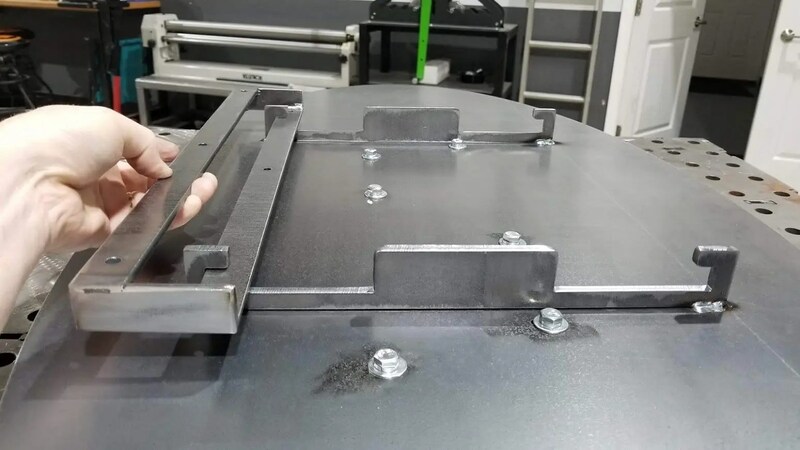 Next all of the steel parts were cut from 3/16 in thick plate steel. Superimposing the globe coordinates between the background and the letters required several steps. 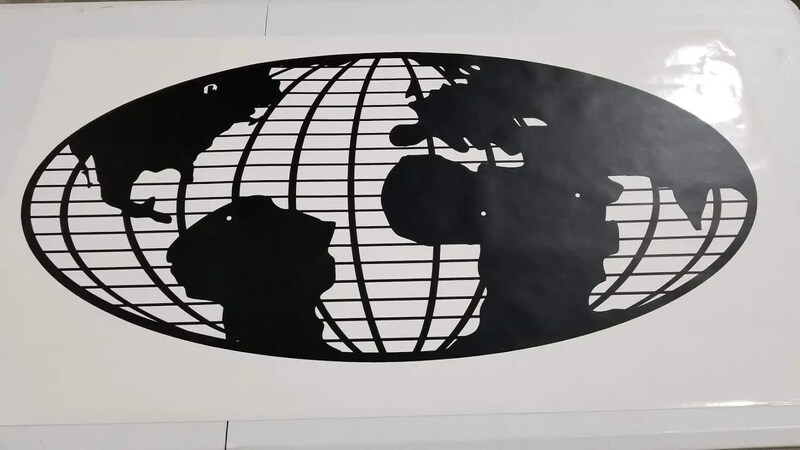 First, the lines were cut out of vinyl on a CNC machine. 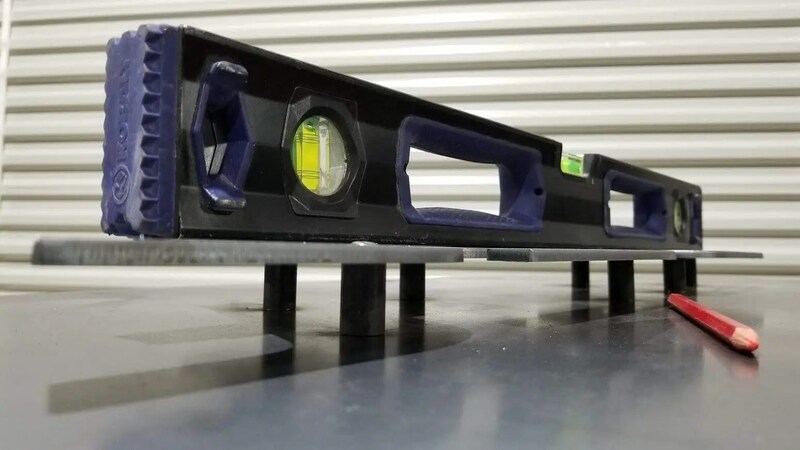 The vinyl was removed so that only the lines remained, and it was prepared for installation at the very end of the process. 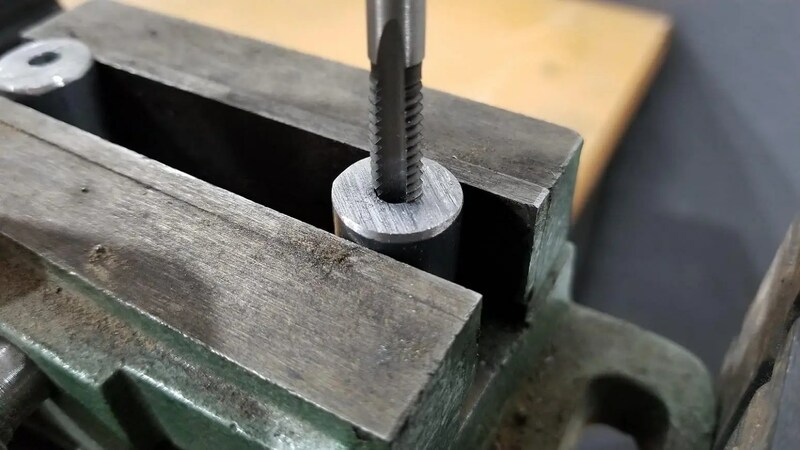 Next, thick steel rods were cut, drilled and tapped to serve as mounting studs for the letters to attach them to the background as the very final step in the process. 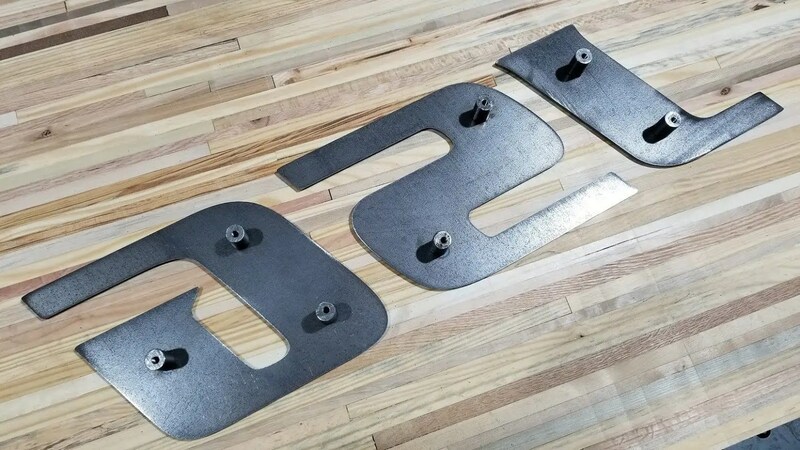 The studs were welded to the letters. And the letters were bolted in place on the background for grinding. This gave them their special light reflecting characteristic. The background had custom mounting plates painstaking welded in place to ensure the sign would hang perfectly level. After painting all of the components, the latitude lines and meridians were adhered and the letters were mounted one last time, checking to make sure everything was flat and level. Finally, the new sign was installed on the office wall! Now that’s a sign that will last forever!